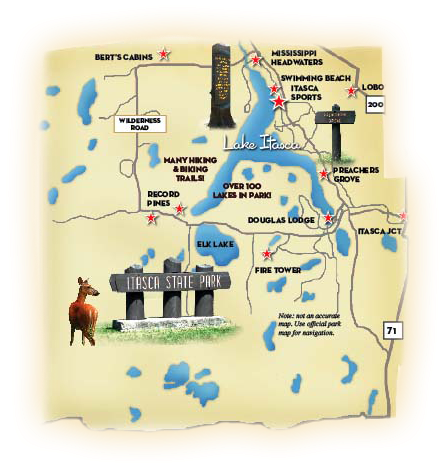 ​A five-mile paved bike trail runs from Douglas Lodge to the Headwaters, past 200 year old red pines, and along the shores of Lake Itasca. 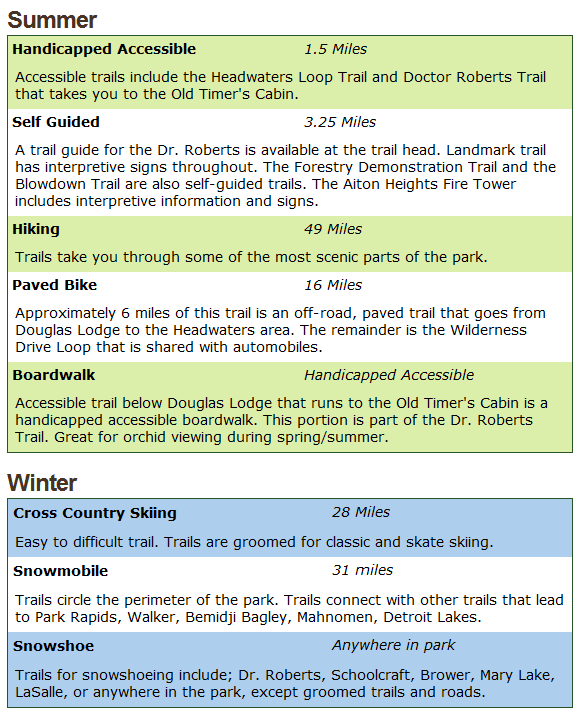 This trail is shared with hikers and features a 1/2 mile long boardwalk, rolling hills and winding curves. 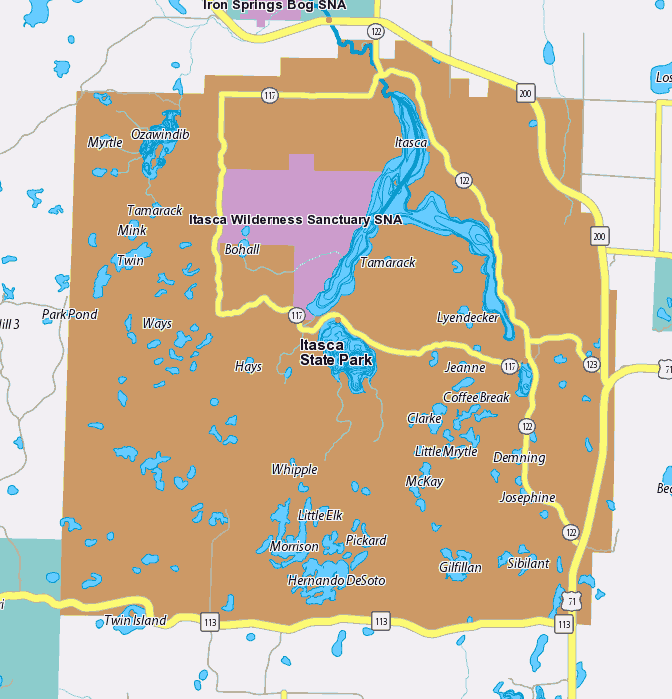 Wilderness Drive is a 10 mile paved road from the Headwaters to Douglas Lodge on the west edge of the park. Most of it is one way traffic, allowing bikers a safe riding experience. It travels along grassy marshes, pristine pines and several small ponds.